Description: This was found in a pop-up shop in Berwick-upon-Tweed. Internet searches by the vendor on "The Sirdap" had drawn a blank. With his distinctive features it should be easy for you to identify the soldier. 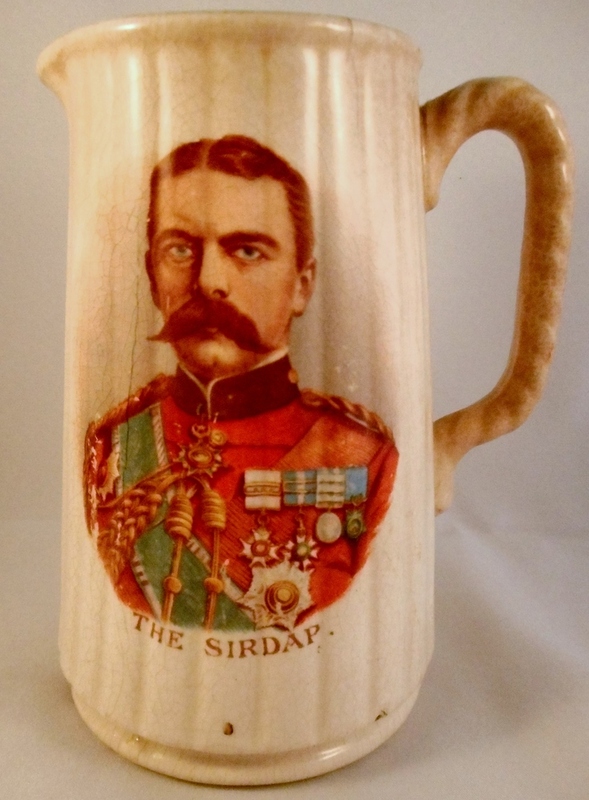 Status Comments: The problem with this jug is that when transfer printed the last letter of the name was imperfectly formed and instead of the P now seen, it should be R. Substituting R for P gives "The Sirdar", which was the rank of Commander in Chief of the Egyptian Army, held by Earl Kitchener at the time. 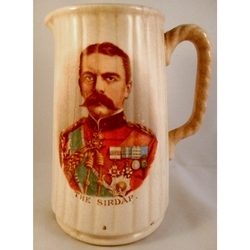 The jug was probably made in 1898 to commemorate Kitchener's victory at Omdurman.